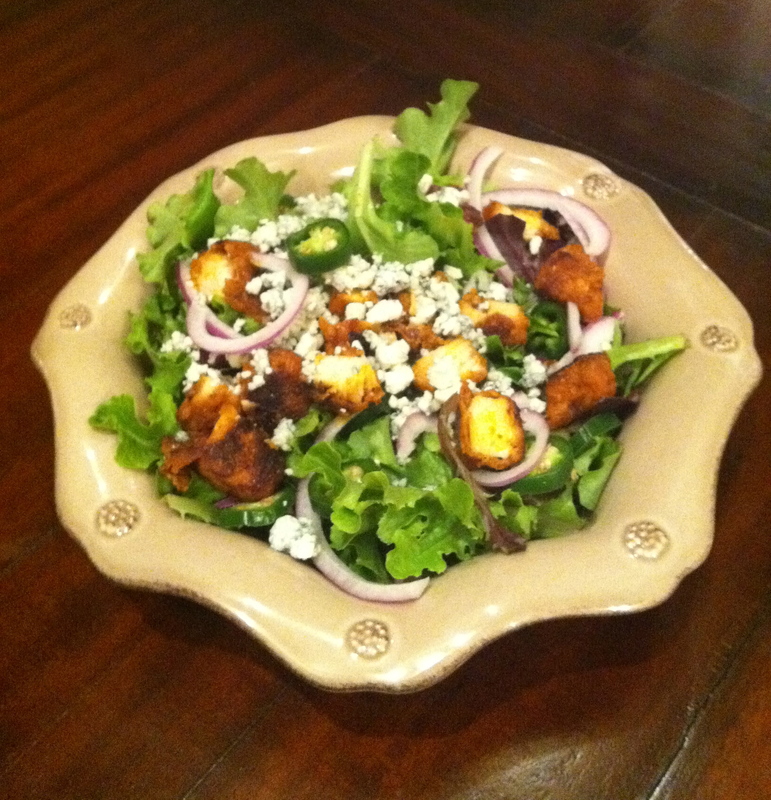 Home made Buffalo Chicken…2 ways…both delish! In college, when Jarrod, E. Boone, and I wanted to eat healthy, we would go to Zaxby’s and order the Buffalo Blue Salad… The word salad= healthy right?! The Texas toast with 4 tablespoons of butter, the crispy tortilla strips, gobs of blue cheese, processed chicken, and two packets of dressing really made for an extra healthy meal HAH! 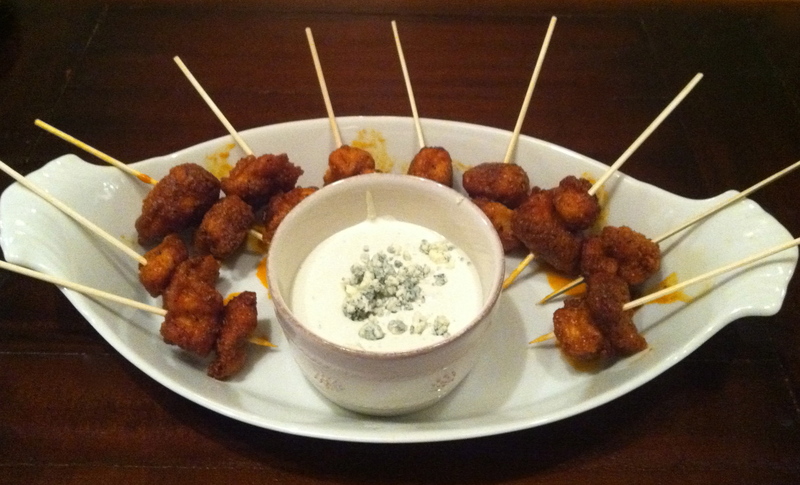 I had planned on making this Buffalo Chicken Skewer recipe from ALL YOU magazine for the Super Bowl, but we were actually invited to go somewhere WITH our children! Since I already had the ingredients, I made the dish on Monday night and tonight I used my left over chicken to make my own version of my old college fave… to die! Anything marked with * I means I used organic or all natural ingredients. 3. In a large skillet ( I used my cast iron), warm half of the oil over medium-high heat heat. Remove chicken from bag, shaking off excess coating. Add to skillet and cook, turning on all sides, until chicken is crispy and no longer pink in the middle, about 6 minutes. Drain on paper towels. Wipe out skillet and repeat, tossing remaining chicken in coating and cooking in the remaining oil. 4. Rewarm hot sauce mixture in a pan and pour over the chicken tossing well to coat. Put two pieces of chicken onto 20 skewers. Serve with the dip, carrots, and celery.